Sonic Rob likes indie music, indie films, and Indiana Jones. FyreHaar likes RTS and dirty south hip hop. $10 once again gets you three new maps (for a total of 11 if you bought the previous DLC) and a new play mode, Dreadnought Assault. In this mode two teams compete to capture a point in the middle of the map, presumably much like in Seize Ground. The team that succeeds spawns a player-controlled Dreadnought armed with an Assault Cannon, Meltagun, and giant crushy killy fist thing. It’s the closest the game has yet come to just giving players a tank. Once the dreadnought is destroyed the process begins again. It’s not clear from the press release how you go about winning this mode, although at a guess I’d reckon either kills or by summoning the Dread a certain number of times. There’s also yet another set of skins for the outrageous price of $3 each. This time it’s Death Guard and Iron Hands, which at least should give the game artists a chance to have some fun with bionic legs, distended bellies, and so forth. I’m sort of intrigued by all of this but I’m wondering about how the Dreadnought gets around the map. Can he smash through walls? Does he have to duck to get through doorways? What do you think? Is anyone still playing Space Marine? Sure, you're a 12-foot tall killing machine with a double-barreled mancannon that has a chainsaw-scythe bayonet on it, but I have AN ELECTRIC HAMMER. 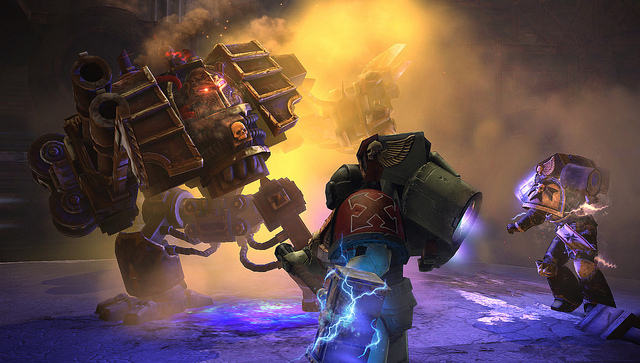 Relic has announced a new DLC pack just days after we XBox-owning peons were finally allowed to download and then ignore the Exterminatus co-operative DLC. Long story short, in December sometime all players get access to a new Capture the Flag gametype. Those who pay $10 for the DLC pack get a Chaos version of the Exterminatus horde-mode game, as well as 3 new maps that work for all gametypes. Also, four new multiplayer skins will be available for $3 each. Finally, 10 new achievements will be added, almost certainly all tied into the new game modes. Capture the Flag sounds like crazy fun, since Space Marine moves so fast and the maps tend to be on the small side IMO. 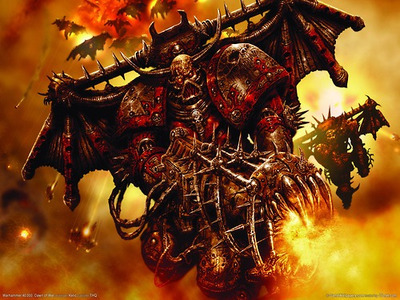 I haven’t played Exterminatus, so I don’t really know what to think of a Chaos version coming out. I’ve played a ton of multiplayer, though, and having the map count go up from five to eight is… well, almost worth $10 to me. I won’t be buying the skins, awesome as the Legion of the Damned one looks, as the game moves too fast for anyone to notice much about what you look like. Besides, I wear camouflage. 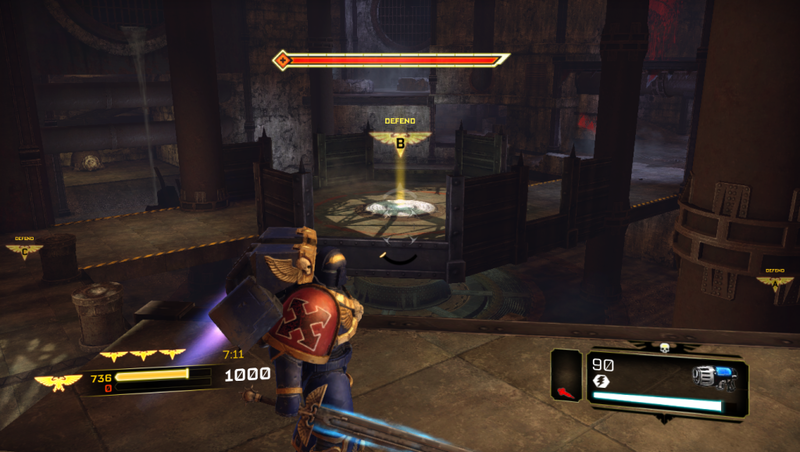 Finishing out my series of posts on how I like to go about playing a jump marine in Warhammer 40,000 Space Marine, let’s discuss my two least favorite maps and briefly touch on the use of Perks. •	My absolute least favorite map to play as ASM. There are a lot of covered passages that are can’t be jumped through, as well as long narrow hallways with tall ceilings that basically are setting ASM up to get clay pigeoned by a dev at the other end. Last time I held forth with no real qualifications or justification on how to fight as a jump marine in Warhammer 40,000: Space Marine. Carrying on with the second of three posts on the topic, I’d like to discuss particular maps in the game and how to best use the jump marine’s particular traits in each of them. 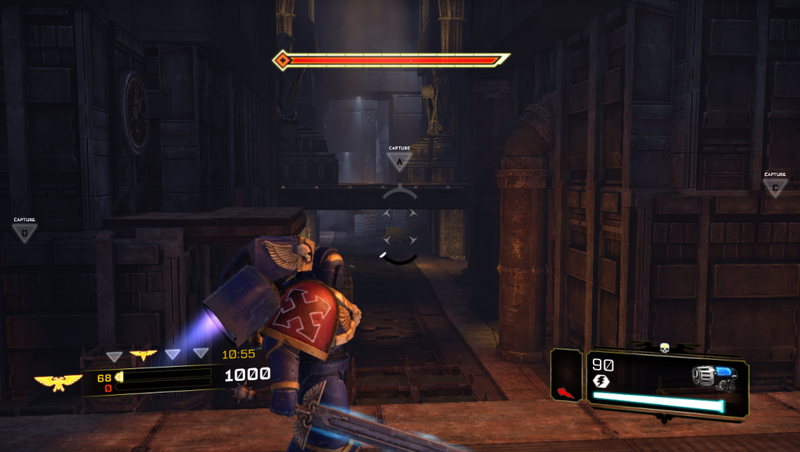 I’ve been enjoying the hell out of Space Marine’s multiplayer mode, probably more than I’ve enjoyed an online game in some time. It’s pretty thin on maps and classes, but in a way that allows for some very fine tuning. It’s like a really well-cooked steak with nothing on it and no side dishes. I’ve been looking online for some guides to playing the game, but it’s starting to look like the multiplayer community may be deserted in favor of the big games coming out in the next few weeks. Modern Warfare 3 and Battlefield 3 are both waiting in the wings to snap up fans of high-caliber online violence, and Batman: Arkham City just ate all of the nerd gamers. Still, they say that if you can’t find what you need, build it, so here are some thought on playing the easiest class in the game and thus the one I feel most confident in holding forth regarding: the Assault Marine/Chaos Raptor (ASM).